Tasers have come to be widely used by law enforcement officials throughout the United States. However, law enforcement agencies have counted hundreds of deaths associated with Taser gun use. 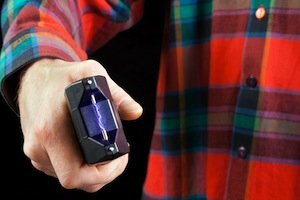 Stun guns have soared in popularity as a non-lethal method to control potential criminal activity. Some criminal suspects have been shocked, using these electronic control devices that have caused their deaths or serious injury. Stun guns provide 50,000 volts of electricity to an unfortunate recipient. Amnesty International, a global movement, promoting human rights, had called for a moratorium on the use of Taser guns since the death rate has been rising so precipitously. Amnesty International reported that 351 Taser police-related deaths have occurred in the United States since 2001. Most of those deaths caused by Tasers were of criminal suspects who were unarmed. The Chicago police have been using Taser guns in recent years. They are trained in the use of Taser guns as an alternative to deadly force. Illinois requires a license for the use of Taser or stun guns. Reports of Taser gun injuries in the Chicago area range from that of an unarmed, handcuffed teenager to an 82 year old woman Tasered by police. The use of these electrical devices is dangerous in that they can cause seizures, cardiac arrest and sudden death. Although using a Taser as an alternative to a deadly weapon is sensible in some cases, the negative health side effects of people who are susceptible to this electrical shock are very dangerous. Those with medical conditions or who use illegal drugs or other prescription drugs are more susceptible to serious injury or death than others when Tasered. The leading manufacturer of Taser devices is Taser International. It earned more than $67 million on the sale of its electrical stun gun used by law enforcement across the U.S. and Canada. A mounting death toll has called into question the company’s claim that the weapons are “non-lethal.” A study led by a group at Wake Forest University reported that out of 1,000 persons, nearly 99.7% persons subjected to Taser use experience minor injuries or none at all. Of that group, three persons suffered severe enough injury to require hospitalization and two of them died. Some of those died from falls after the Taser when the person suffered a head injury. Taser guns are dangerous. Users should be extremely cautious when using these devices. The Taser gun injury attorneys, Kreisman Law Offices, have more than 40 years of experience in personal injury lawsuits. If you or someone you know has been injured or believes they have been injured by a Taser or stud gun, please call for a free consultation. You may be able to file a lawsuit, recover compensation for medical bills, pain and suffering and other damages resulting from difficulties associated with Taser gun. There is no cost, no obligation for a case review. Contact our Chicago office at 312.346.0045 or 800.583.8002 or by email at bob@robertkreisman.com for an immediate free consultation, or fill out our contact form.